We are excited to be getting ready for our fall show! 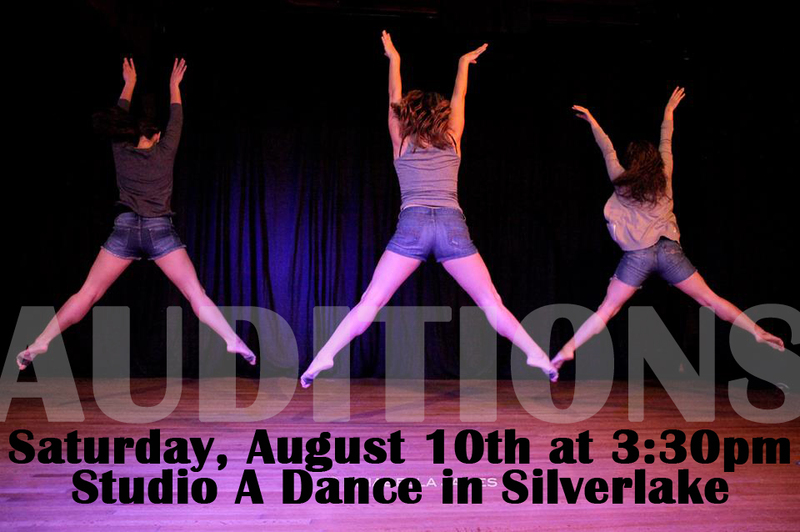 Auditions will be held on Saturday, August 10th from 3:30-7pm at Studio A Dance in Silverlake. Dancers of all styles and all experience levels are welcome and encouraged to attend. Performances will be at the El Portal Theatre in North Hollywood on Saturday, November 9th. You do not need to bring a resume or headshot, just come with all your dance shoes and be ready to move. More info about how auditions work can be found here. If you have any further questions, please don’t hesitate to email us. Hope to see you there! Hello, I was wondering if there is a specific body type that you guys look for as well, besides skill level. Thanks. Hi Amber, nope! We welcome dancers of all body types to audition. Hope to see you there!